Primary color Primary Colors + Vivid Colors + Earth Tones + All of the Above Surprise Me! 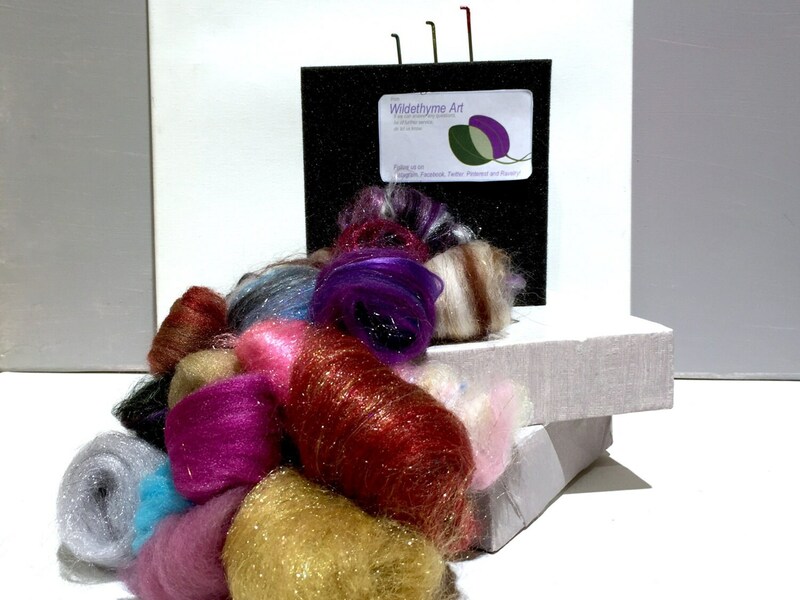 You have a friend that wants to try their hand at needle felting--or an artsy friend that already has everything! Or... perhaps you want to treat yourself in a kind way. We love that too. This is little kit is a great way to satisfy their --or your--curiosity! It's not the same as our basic kit, listed here-it's fancier! ** We can ship this directly to your recipient as well. **not recommended for small children. FYI: We're cat and dog friendly people, but we have a brick and mortar store/studio where our fibers are stored and prepped. We do our very best to represent our colors and textures, photographing them in a lightbox, in sunlight, with/without flash... Having said that, we hope that you'll understand that there are so many variables that will affect what you see (including monitors, climate and individual perception) and that you understand that some differences can occur. 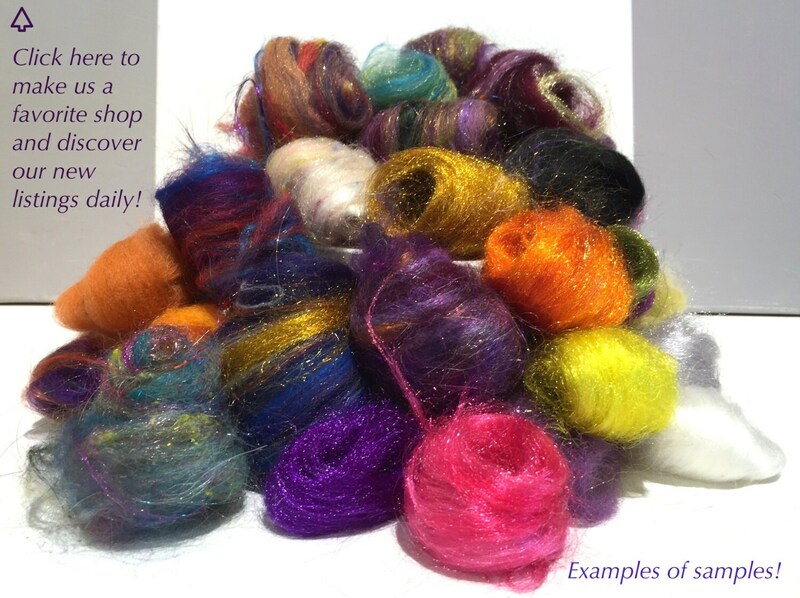 Does your roving come in one, continuous piece? Not always. Let us know if this is important, and we will make it happen. Why is the shipping so high? Can you fix it? It's a long, convoluted answer having to do with the fact that we offer variations of weight in our batts and other items. 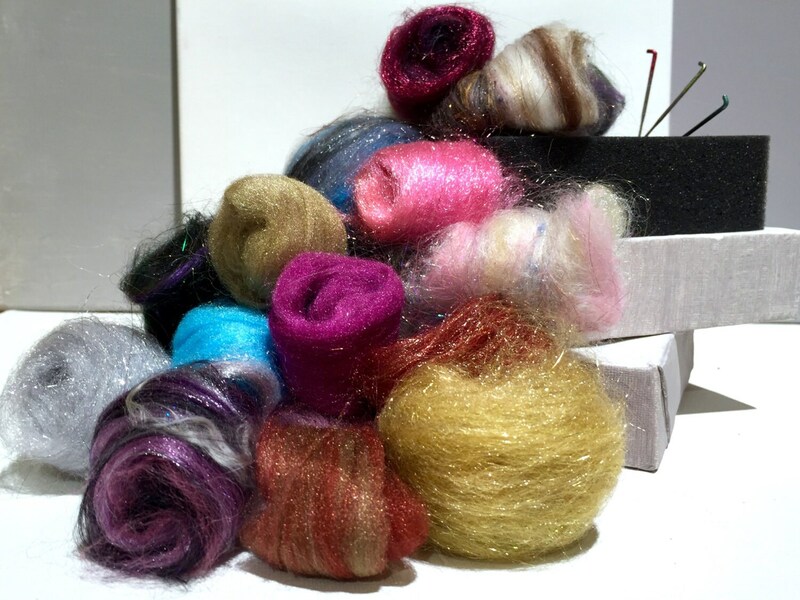 We pay the extra shipping on larger batts, but we have no way of setting the shipping lower on the sample sizes, so we have to meet somewhere in the middle --which is often WAY too much if you are ordering a quantity of sample batts. You forgot my felting needles. Will you send them? But first... take a peek on the side of the foam. 99.99% of the time, they are there, just overlooked. Why does it take 10-14 days to mail a batt? Colors selected by sellers are perfect for my needs. I'm working with some I had bought a while ago from them, and it's great to have new colors! love the item great price. Thank you! 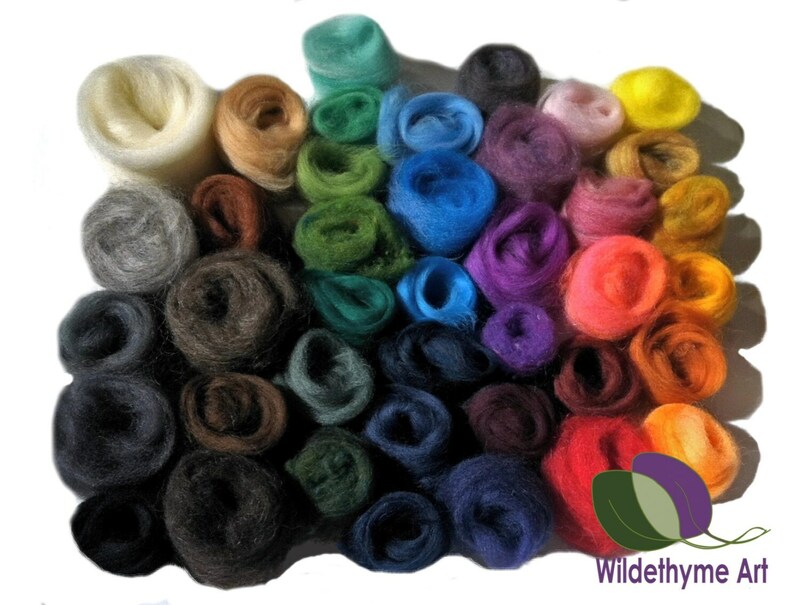 Looking forward to learning to needle felt! My favorite felting purchase so far! Item shipped on time, as described.